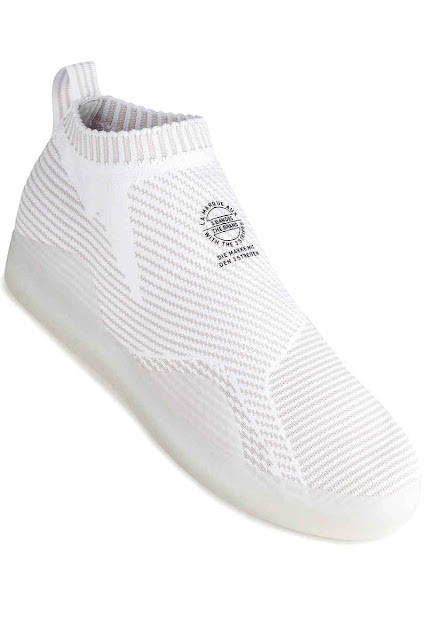 How Adidas - the marque with the 3 bandes - ever became associated with wealthy poor people chic from Hollis, Queens, to Ice-T's bathroom ... remains elusive ... especially for someone like me who grew up in Germany, during Airwalk's heydey in skateboarding. If you've made it through that last sentence ... keep reading. 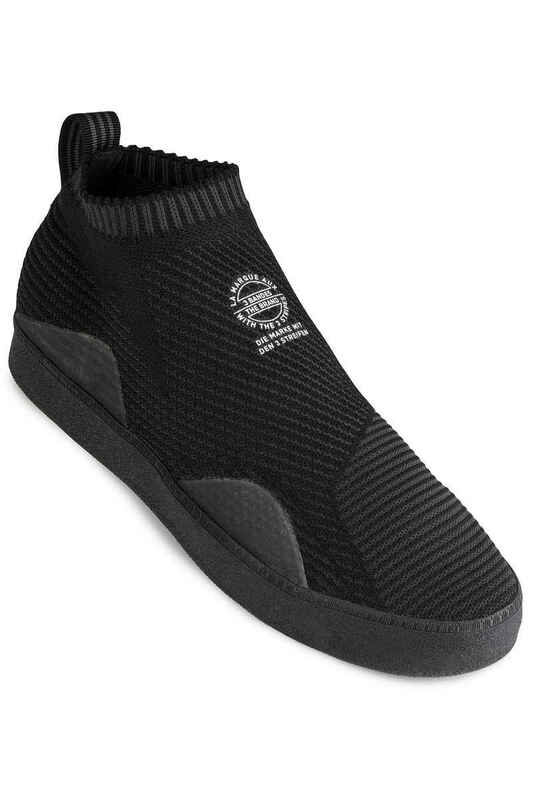 Imagine Giorgio Armani had some way of remembering Vic Airwalks, with lace savers. 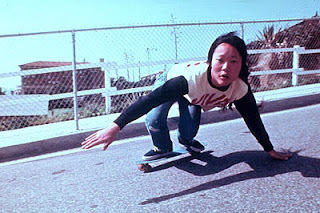 Now, imagine he somehow could have caught a glimpse of the current US-American skate industry, with semi-creative boutique-style mini skate companies everywhere ... and jogging pants ... with elastic bands securing all entries and exits of such pants. 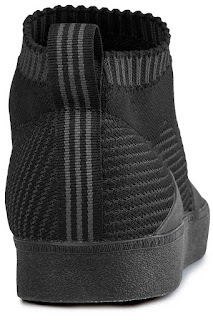 If this was the case, Armani would surely have made this shoe: the adidas Skateboarding "3ST.002 PRIMEKNIT". This is not a compliment. But the more you indulge in remembering the Vic Airwalk, the more this adidas shoe might remind you of the glory of Vics ... but in a 2018 version kind of way ... imagine some 18 year-old in New York City doing a flip trick in these shoes, a flip trick that you surely could not name (without googling). 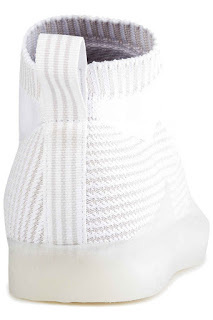 Think it thus and the 3ST.002 PRIMEKNIT will almost, or actually, start seeming cool. Now the most important questions are is it vegan and is it durable? 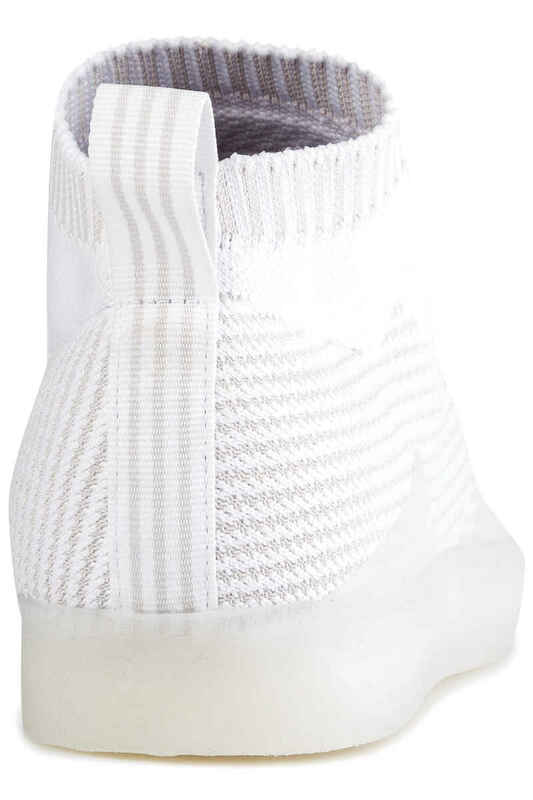 The "3ST.002 PRIMEKNIT" - PRIMEKNIT or PK for short - is leather-free. Note that the "3ST.002" WITHOUT the "PK" or "PRIMEKNIT" in its name is made from (animal) suede. 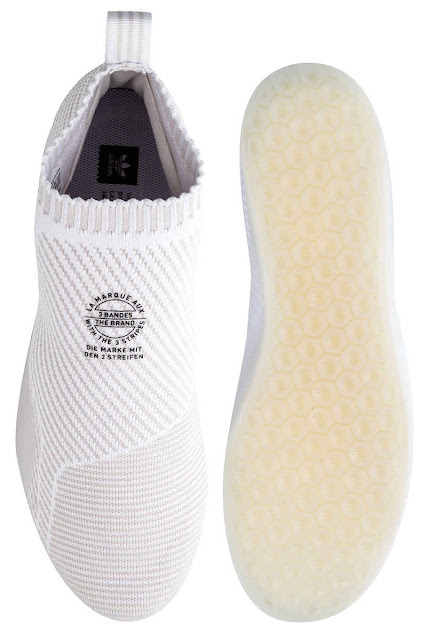 @adidasEUhelp: "The product's description states textile upper and rubber outsole. No mention of any leather, but we can't say the same about other materials of animal origin." Sport-born and culture-inspired, adidas Skateboarding brings a new, ultra-progressive look and feel to the classic vulc shoe design. These shoes have an adidas Primeknit upper with a tough TPU coating and an internal cage system for support. 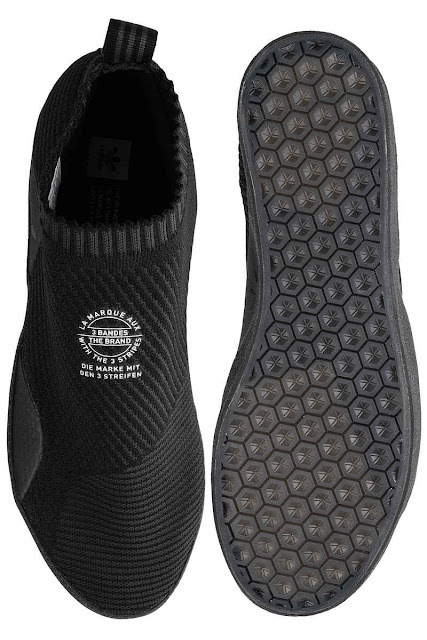 The vulcanized outsole is flexible from the first wear and the best for board feel." The obvious question now is: How tough is tough? And: Is this shoe really skateworthy? 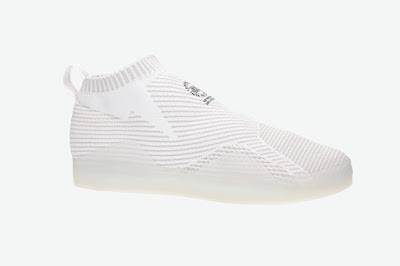 At 159 Euros a pair I'm not about to find out. TPU stands for "Thermoplastic polyurethane" - some of the materials from this group have very high abrasion resistance while some others do not. 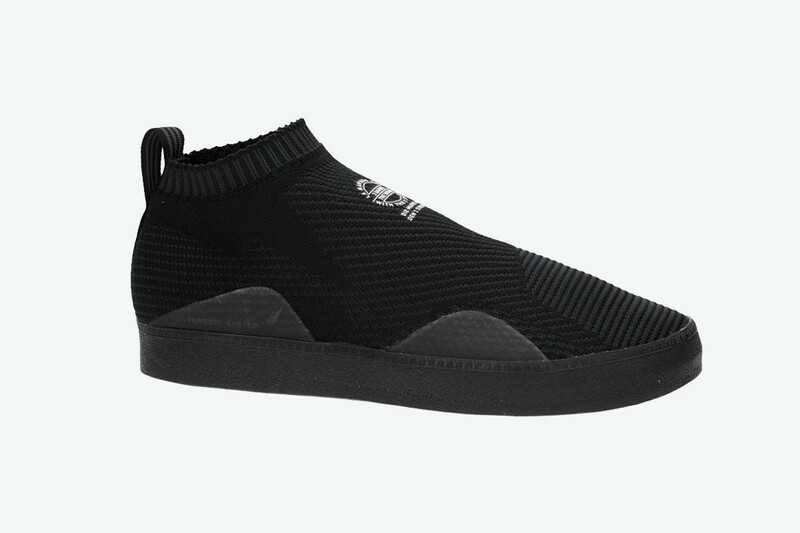 UPDATE: I have never worn or seen this shoe "live" but based on the descriptions of some large skate shops the Primeknit upper does NOT seem to stand up to flip tricks very well. 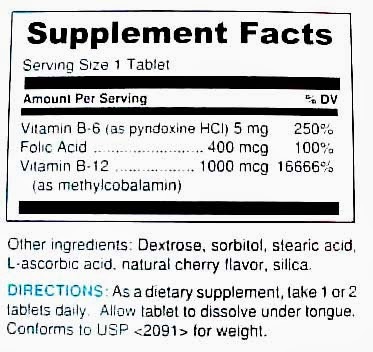 I would assume that this material will start to tear after a handful of 360 flips.